Celldex Therapeutics' (CLDX) shares slumped over 30% Friday to $3.28 after it said it would regain full worldwide rights to its experimental therapeutic brain cancer vaccine rindopepimut, effective November 1, 2010. 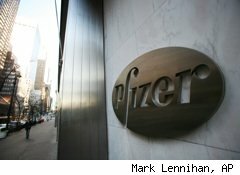 In effect, Pfizer (PFE) has abandoned its partnership with Celldex to develop the vaccine causing investors to doubt the program and hammer the stock. The small biotech said it will continue to develop the treatment alone. Pfizer Vaccines and Celldex entered into a global development and commercialization agreement in April 2008. Celldex was going to get some $440 million from Pfizer, plus royalties, if the vaccine made it to market. But Pfizer has now informed Celldex that the rindopepimut program is no longer a strategic priority for the world's largest pharmaceutical. That's despite, according to Celldex, the fact that in three mid-stage clinical studies rindopepimut has met or exceeded all pre-determined safety and efficacy objectives. The treatment targets the tumor-specific molecule epidermal growth factor receptor variant III in patients with Glioblastoma Multiforme (GBM) -- a common and aggressive brain tumor. The vaccine is designed to get the body's immune response to fight off the tumor. "There is a significant need for new therapies for GBM and we are fully committed to developing rindopepimut for the patients who suffer from this fatal disease," said Celldex President and CEO Anthony Marucci. "We believe the program is very well-positioned to advance into pivotal clinical studies and that the GBM market remains extremely attractive." But to fund late-stage testing, the small company will likely need to raise additional money. Chief Medical Officer, Dr. Tom Davis added that "Rindopepimut is widely perceived by clinicians as one of the most promising non-toxic drug candidates for a patient population that has very limited treatment options." Rindopepimut has been studied in three open-label Phase 2 clinical studies in more than 110 patients. Results from the studies showed rindopepimut demonstrated significant improvements in key measures, including overall survival. Celldex, which has four other drug candidates that are in early to mid-stage studies, said it expects to present new data from a recent rindopepimut study in late November.